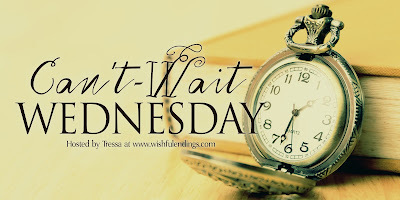 This is the first time I'm adding a post to Wishful Endings, although I was a frequent past participant of Waiting on Wednesday. It's good to have found a new Wednesday landing place to highlight the soon-to-be published books that I'm anxiously waiting for. 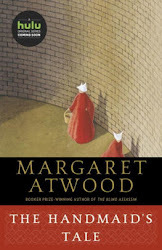 This week's I Can't Wait For book is . . .
From Goodreads: A young British couple are driving through France on holiday when they stop for gas. He runs in to pay, she stays in the car. When he returns her car door has been left open, but she's not inside. No one ever sees her again. My thoughts: I have read--and been riveted by--B.A. Paris's prior novels, Behind Closed Doors and The Breakdown. 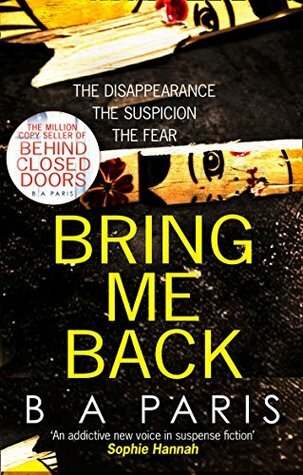 Paris's gripping fiction places her in the category of first-rate master of the psychological thriller genre, and she has become a favorite author of mine.